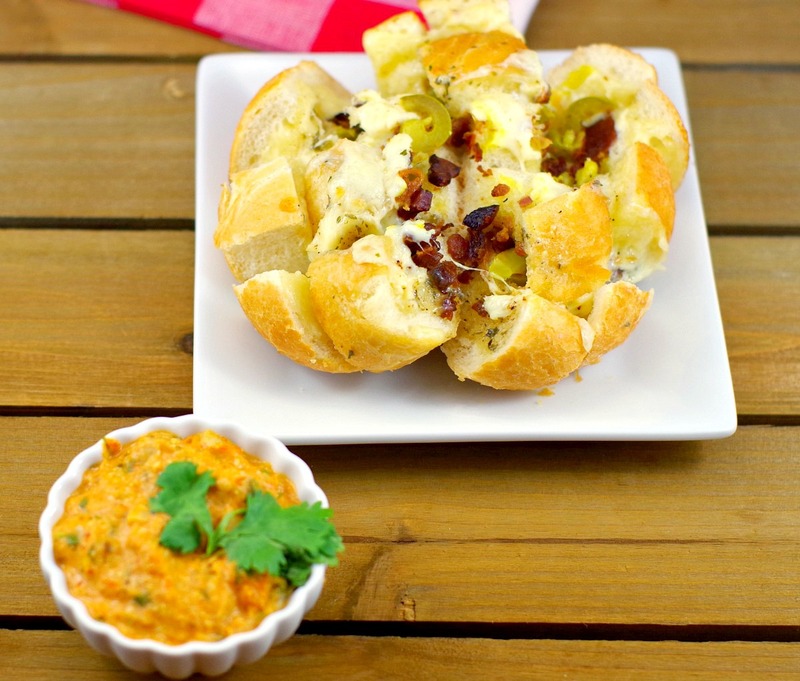 These sophisticated, yet easy individual party pull aparts with bacon, jalapeno, buttery ranch and cheese make a great game day snack! Served with warm artichoke pizza dip. I’m not a big fan of communal food. I guess I’ve just had too many bad experiences. One particularly horrifying communal food experience that comes to mind is the time I witnessed two kids licking the salt & vinegar chips and putting them BACK in the bowl. I obviously panicked, “How long had they been doing that?”! “Had I eaten any yet?” Pull apart bread is up there with chips when it comes to risky communal food -you just can’t help but touch the other pieces! And that is precisely why I created these individual party pull aparts.